Hopefully by now, you have paid a visit to your favorite nursery to check out all the available plants. There seems to be so many colorful and different flowers! Over the years, I’ve discovered which annuals really perform well in our hot and humid Midwestern summers. An annual is a plant that flowers and sets seed all in one growing season. Although they need replaced every year, you are rewarded with several months of pretty blooms. Annuals look terrific planted alone or mixed in with the perennials for constant color. Begonias – In a variety of colors and shapes, this colorful plant provides plenty of cute little flowers and even does great in the shade. They look nice in a hanging basket, mixed in with the hostas, or lining the front of the perennial border. My favorite, the red- flowered dragonwing begonia, grows quite large and will not droop if left un-watered for a few days. 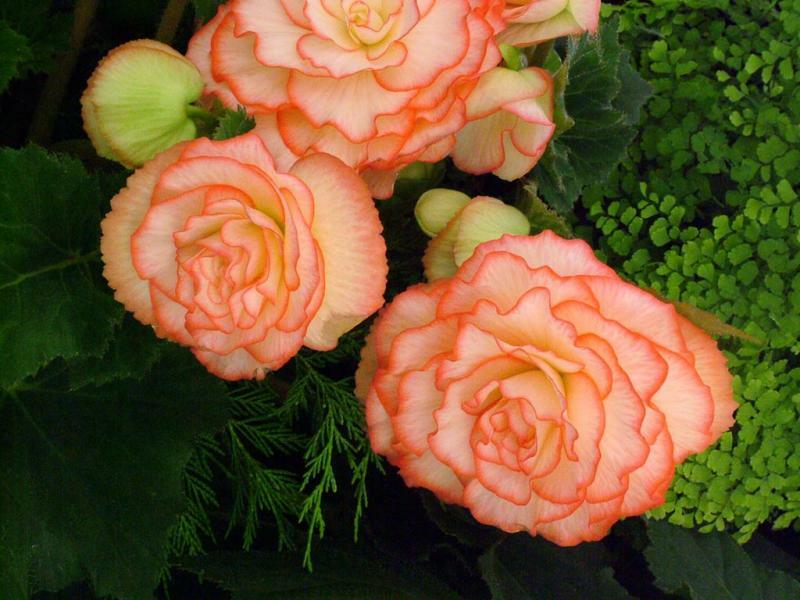 Begonias are also self-cleaning so you can just plant and forget. 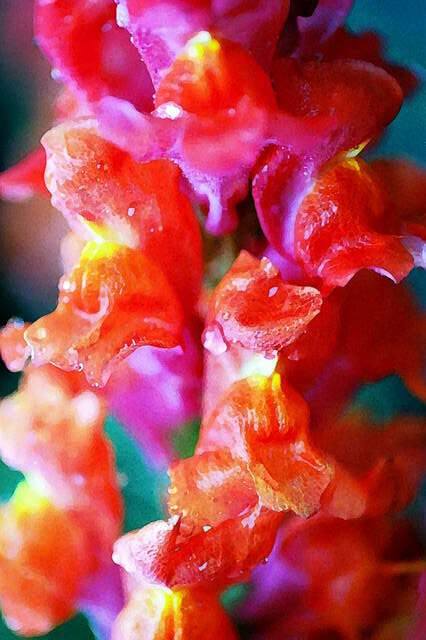 Snapdragons – Quite possibly one of the easiest annuals in the world. When my sister visited the Middle East a few years ago, I asked her to take photos of the prominent heat loving flowers. In every photo were the plain old regular snapdragons that we grow in our Central Illinois gardens as well. Be sure to check the height on the labels because they vary from eight inches to three feet. A rainbow of colors look nice together and as an added bonus, they will reseed in your garden for the rest of your life! An occasional trim will keep them in tip-top shape. 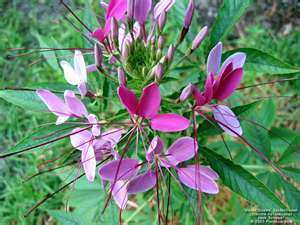 Cleome – also known as spider flower, these large firecracker-like blooms come in shades of purple, pink and white. They quickly grow to heights of three and four feet in full sun will reseed generously from year to year, even showing up in the cracks in the sidewalk. They transplant well if done before hot weather so feel free to share with the neighbors. While they look perky and gorgeous in a bouquet, they are best grown outside because of their strong ammonia scent. Cleome is also deer and rabbit resistant. A once a month trim will prolong the blooms clear up to frost. 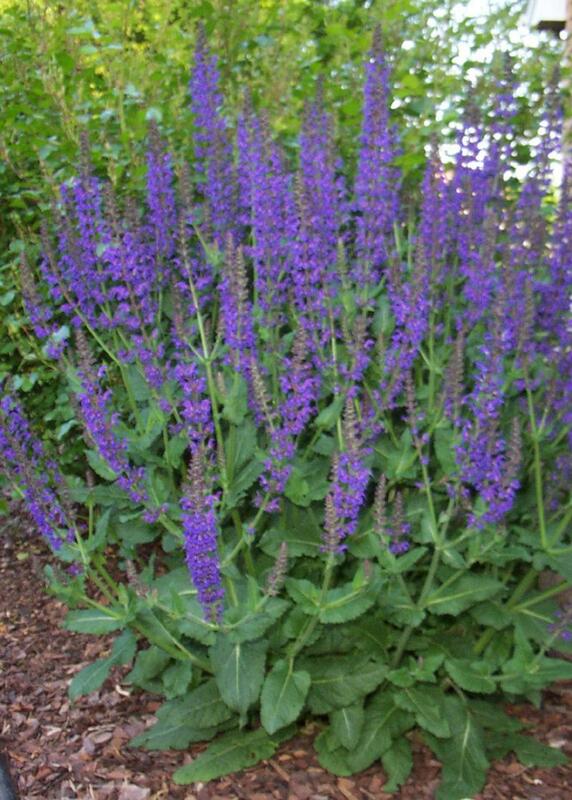 Salvia – Now showing in a huge variety of colors, your best bet is the St. John’s Fire red or Victorian blue. Rabbit and drought resistant, sun loving salvia quickly spreads out, filling in those empty spaces. They are like a magnet for hungry hummingbirds and butterflies so be sure to grow them near your favorite resting spot. The newer shades of white, purple, pink and coral do not grow as large as the red and blue, but they are a nice change. Salvia also looks great planted behind a row of marigolds or in front of a row of cannas. Cannas – This exotic tropical annual begins in bulb or seed form and quickly sets the mood for the summer garden. In gorgeous flower colors of red, yellow, speckled, orange, and pink, the large leaves demand attention without the need for staking – ever! Speaking of leaves, cannas can now be found with striped and colored foliage. Simply keep the spent blooms trimmed and you will be rewarded with flowers clear through September – just in time for the thirsty, migrating hummingbirds. 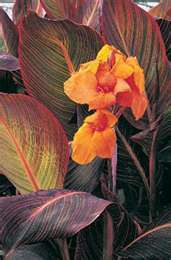 Cannas perform best in full sun and are flood, drought, insect, rabbit, and deer resistant. What more can we ask for? Sure they need dug up and divided in the fall, but what a small price to pay for another summer of tropical excitement. While the fancy cannas are difficult to over-winter, the common red variety stores well in a paper bag in the basement or spare room. By now, your garden is probably beginning to burst with color. You can keep your pretty outdoor picture alive with these and many other colorful annuals. 1. Keep Your Mower Blades High: Raising your mowing height increases the strength of the turf. Stronger Turf is more tolerant of dry conditions and more able to compete with weeds. Never apply weed sprays or fertilizers to your lawn in the summer months. 2. Tricks to maintaining a weed free bed. There are safe and effective products that are available. Check with Creative Landscaping prior to purchasing a product that you have not used before. 3. Trim Deadheads. When annuals and perennials look messy, trim them back and cut off wilted blooms and brown leaves. 4. Plant lots of Bulbs. Make plans early to order bulbs. Combine your bulbs with perennials and groundcovers. 5. Landscape. Spring and Fall are beautiful times to plant trees and shrubs. Start with a small project and allow for expansion. 6. Tree Planting. Decide if you need trees for shade or for flowering. The roots will start growing immediately whether planted in Spring or Fall. 7. Plant grass seed. Ask the experts at Creative Landscaping which seed will fit your needs the best. 8. Watering. If your planting area has overheads, they may need extra water. Most etablished landscaping beds rely on rainfall except in dry periods. If the soil is dry soak it so the water goes deep. 9. Mulch adequately. Mulch serves as an insulation for plants and trees by protecting the crown of the plant from changing weather conditions. 10. Plan for year-round Beauty. Imagine your landscape area as it will look in all seasons and plant accordingly. Copyright 2010 Creative Landscaping. All rights reserved.